There’s a bit of a trend happening in and around our industry: big-name companies are joining forces. While this is nothing new in the business world, these mergers are notable because the motivation is different. Sure, the same ground rules for more customers and market share still apply, but the latest unions are creating a framework for how we do business, and more interestingly, how we experience it. 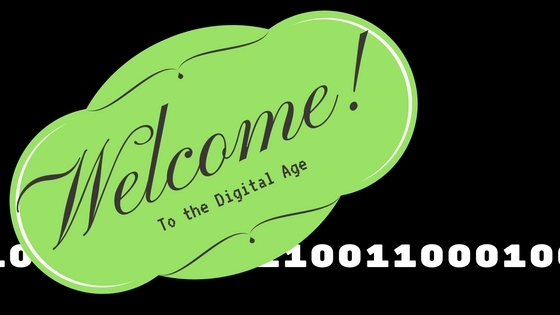 Welcome to the Digital Age – a time of existence when almost every facet of life is connected to information. And what do we know about information? It is power. Information, or data in tech-speak, is what fuels everything from individual preferences, to shifts in public policy, to the global economy. It only makes sense that industry leaders are using every aspect of data to write their own roadmaps to navigate this day and age. When CommScope took on TE Connectivity’s broadband network solutions group… when Johnson Controls and Tyco combined… when Cisco and Philips formed a partnership… the Digital Age welcome sign went from a roadside novelty from the 70s to the archway to tomorrow. There’s no missing that sign now, and we’re not in Kansas anymore. But where are we? How will these collaborations change the landscape? From a business perspective, it’s pretty clear where all this is leading. In fact, we’ve talked about it here in Cablepedia a few times: that not-so-new kid in town, the Internet of Things (or IoT for short). Individually, it’s easy to see that these companies invested greatly into specific pieces of the IoT puzzle… but united with one another, it’s a whole new picture. These new organizations can provide complete, end-to-end solutions for their customers – and not just now, but well into the future. Recognizing intelligence as the hot commodity it is, industry powerhouses are producing the necessities for cutting-edge infrastructures to gather and disseminate information at lightning speed. The result is the next generation of workplaces – something many refer to as the “smart” building. The constant feed of information from every corner of a facility is at the heart of how one defines a structure’s intelligence. There are multiple goals: energy efficiency, work efficiency, increased comfort and safety, expanded accessibility, and so on. But let’s not forget that beyond and behind any corporation are people – average Joes and Janes, just like you and me. Remember Maslow’s hierarchy of needs? The most basic requirements have remained the same. In the Digital Age, however, the flow of information is impacting human feelings and thought processes far beyond the ways Maslow – or perhaps anyone even now – could have envisioned. Whether it’s when we are at work, or visiting a public space during free time (which then makes it someone else’s workplace), our growing reliance on technology is what fuels the Digital Age, and what determines the ways in which we experience it. If history is a reliant guidepost, then it’s unlikely that demand for data will ever decrease… it will only continue to rise. My advice? Read the sign, follow the leaders, and explore ways to become smarter in this expanding universe. I also wanted to share a recently published white paper that discusses Cisco’s digital ceiling. Interesting and informative read!